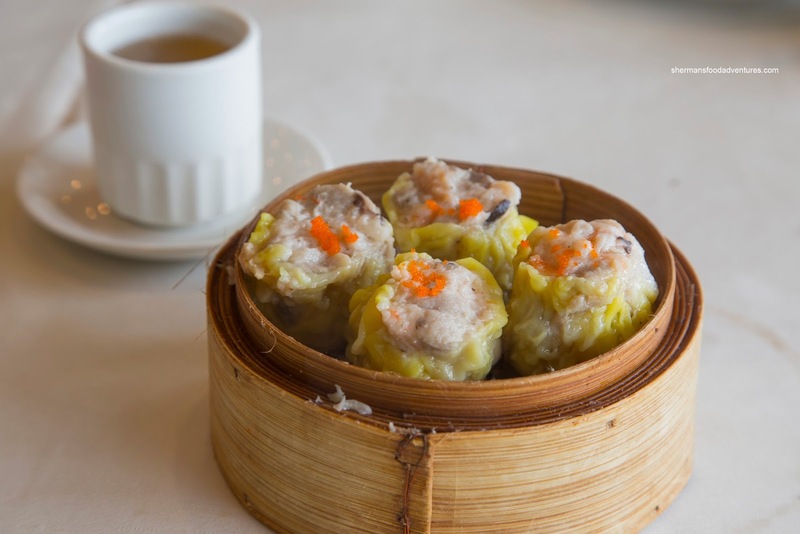 Here I am again, on my self-proclaimed Richmond Dim Sum adventures. Hey, I told you I was going to do it! This time around, I was able to convince Miss Y to experience parking purgatory. We decided to visit Vivacity, located smack-dab along food central (aka Alexandra Road), where the restaurants are plenty while parking spots are not. Fortunately for us, we were able to nab a spot. In fact, we were able to get a table pretty quickly too. Oh Richmond, you tempt me with food and now you tempt me with easy parking and no lineup. What's the catch? An accident waiting to happen? 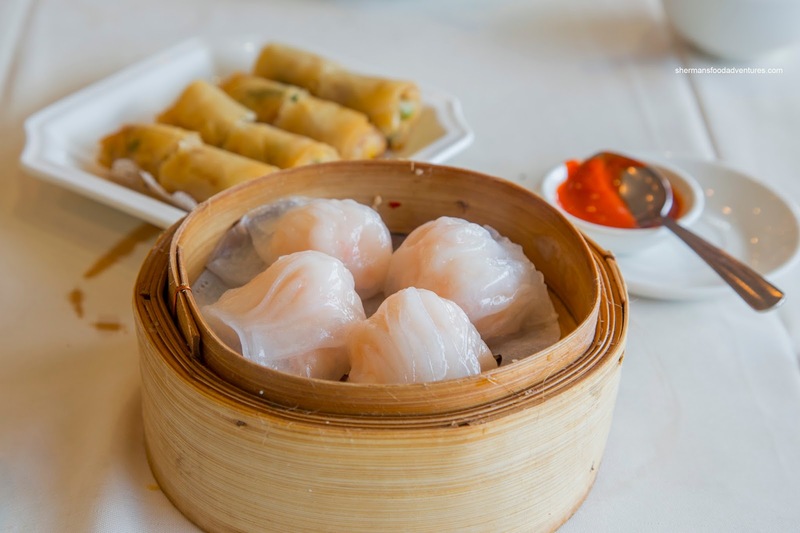 So without further ado, let's get to the food... We started with the Sui Mai (Pork & Shrimp Dumpling) that featured pork that was meaty with a rebound texture. 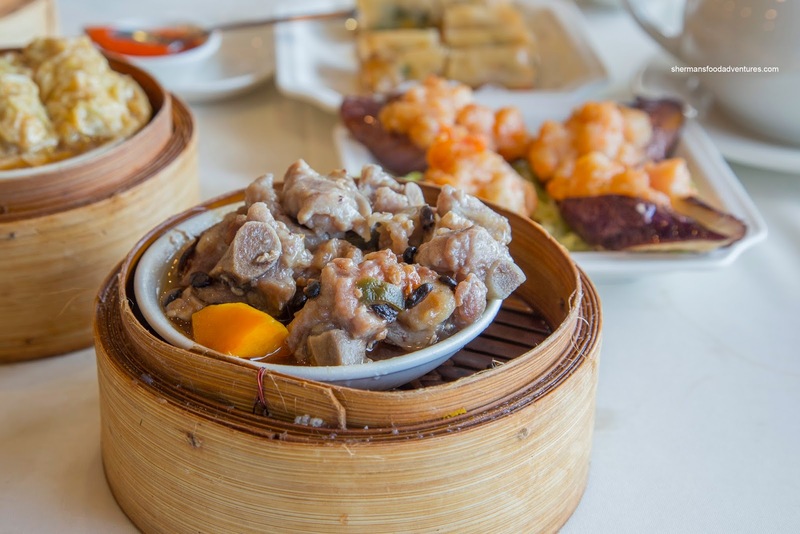 We could definitely delineate the flavours between the lean pork, shiitake mushroom and shrimp. There could've been more moisture though as the dumplings were a touch dry. As for the Haw Gow (Shrimp Dumpling), the dumpling skin had an ideal thickness where it was chewy, yet not doughy. The filling exhibited a moist snap where it was mostly whole pieces of shrimp rather than mousse. 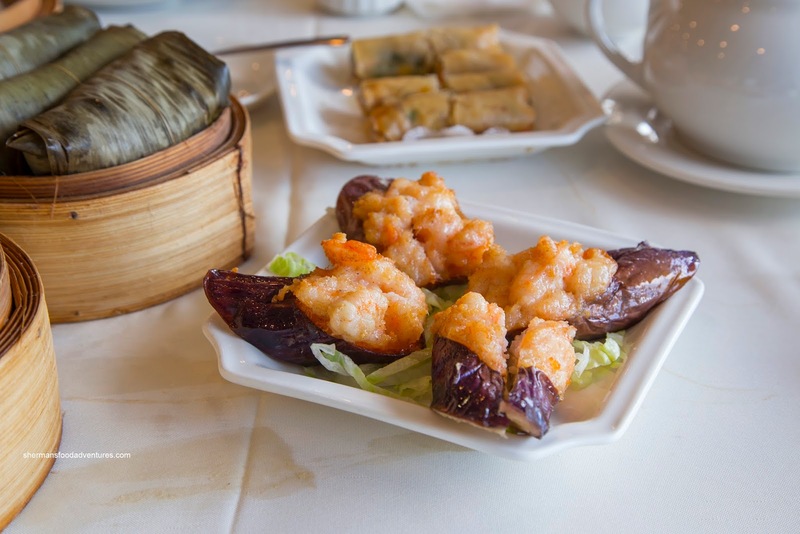 There was also an appealing sweetness that was accented by a mild shrimp flavour. Moving onto the Lo Mei Gai (Sticky Rice wrapped in banana leaves... in this case), it was pretty good. 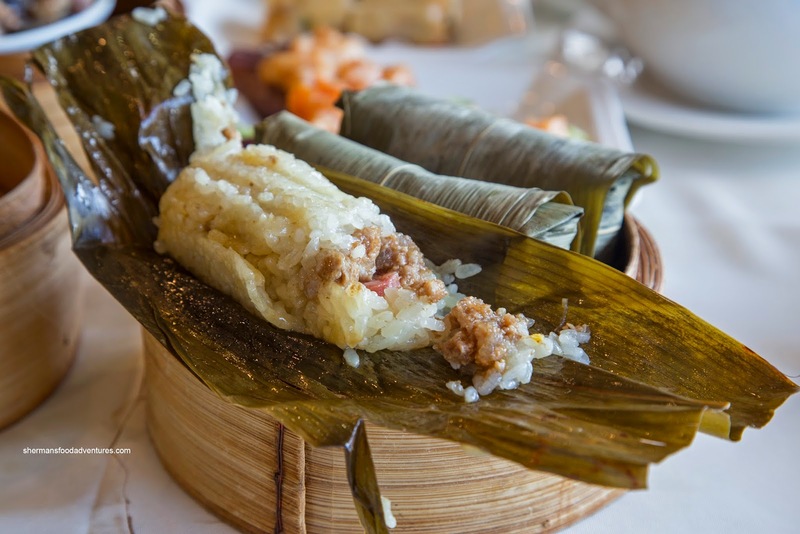 With soft, yet still chewy glutinous rice, the texture was on point. 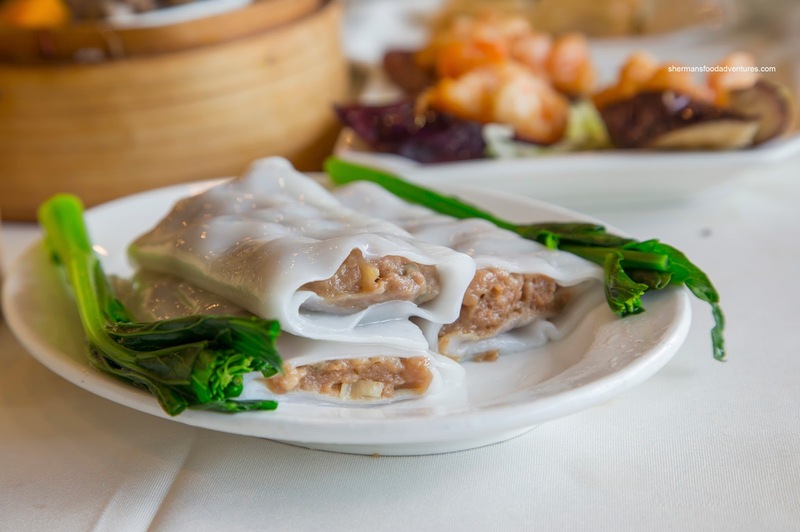 As for the filling, the ground pork was meaty and moist with a natural flavour. It didn't rely too much on additional seasoning as the flavours were mild and not overly salty. We had to get some veggies into the meal and hey who cares if it was fried right? Yes, the Stuffed Eggplant could not be considered health food, but at least it consisted of a vegetable... It was fried enough where it wasn't mushy though. The shrimp mousse was moist and had a good bounce. 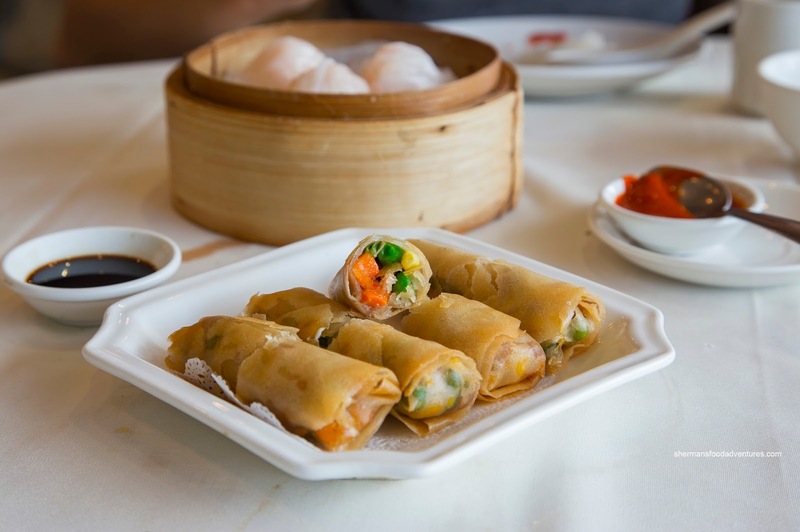 One dish we could've done without was the Spring Rolls. Hey, they were crunchy and served piping hot (albeit somewhat greasy). But the filling was something to behold (and not in a good way). Imagine taking frozen veggie mix and stuffing it into a spring roll. Yes, this sucked. The textures were mushy and the flavours all wrong. What were they thinking??? 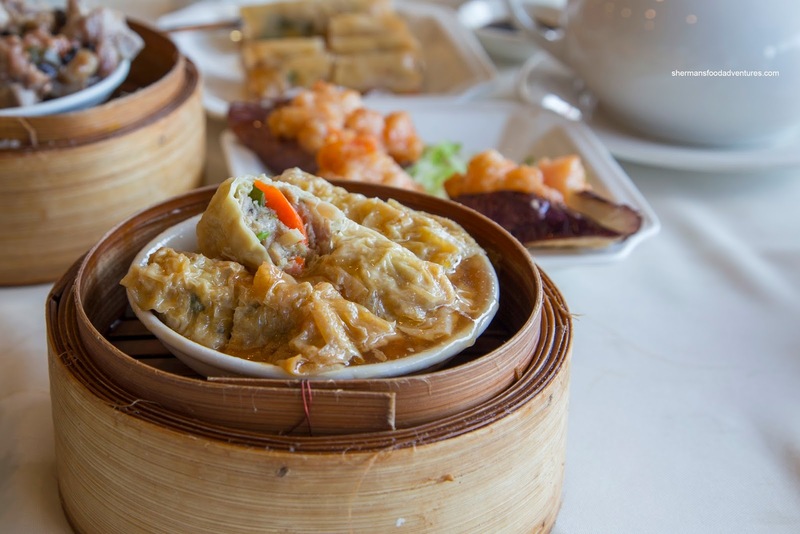 Moving way past that dish, we tried the Bean Curd Skin Rolls. The bean curd sheet had a nice texture that combined the best of both worlds being soft while maintaining a chewiness. Inside, the filling was meaty with plenty of veggies. The sauce had a nice consistency where it was only mildly salty. With the Beef Rice Noodle Roll, Miss Y insisted I eat one sprig of yau choy. I guess she realized the lack of greens in my diet... As for the rice noodle, it was thick and slightly chewy. Not great, but not terrible either. With a load of greens, the beef filling was tender while not being overprocessed. For once, the Black Bean Spareribs lived up to its namesake. So often, there are little-to-no black beans in the mix. Therefore, their version was plenty flavourful (possibly too much so, MSG anyone?). The meat was on the softer side with only a slight rebound texture. As shown in the picture, most of the pieces were meaty rib portions. 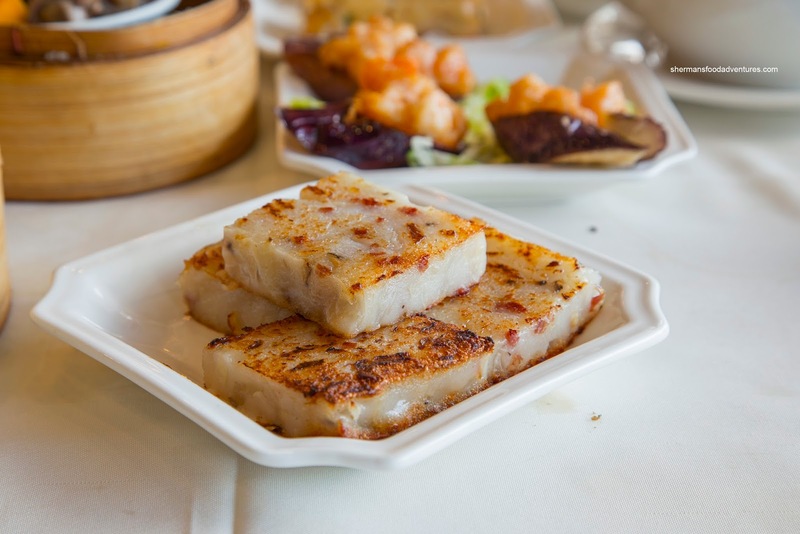 With enough food for 4 people, the meal continued with the Pan-Fried Daikon Cake. Texturally, they were soft enough while a bit floury. There was a sufficient sear where a crispy crust formed on the outside (yet with a cost, as it was greasy). With ample amount of Chinese sausage and dried shrimp, there was no absence of saltiness as well. 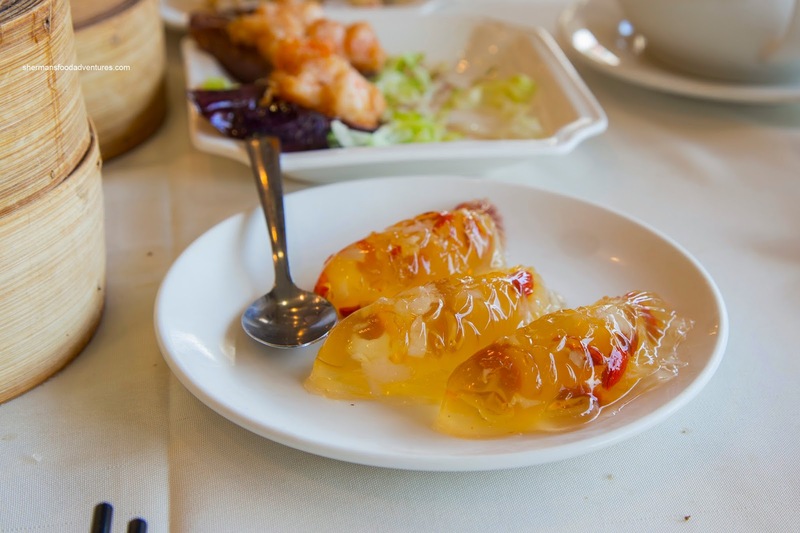 For dessert, we had the Longhan & Wolfberry Jelly prepared in mini-carp molds. They were not sweet at all, rather relying on the longhan for flavour. We thought they could've added more sugar though. 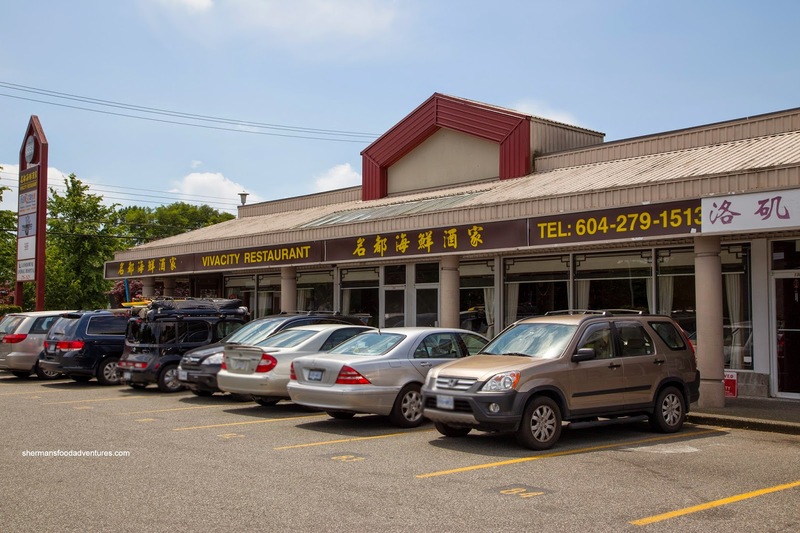 Overall, we thought the meal was above-average and well-priced. The service was decent enough, but they didn't come around enough to check on us.